The Department of Defense and Federal government agencies are the world’s largest consumers of information technology. They face enormously complex and expensive investment decisions that have a direct impact on their ability to carry out their mission. At EDC, we help government organizations make the right decisions in technology to control costs and further agency objectives. We apply structure to an often unstructured process of technology implementations. We have expertise in the entire lifecycle of information systems and the technologies that support them, and we work side by side with decision-makers to prioritize their needs, assess their alternatives, and develop the right IT infrastructures to address their needs. We also recognize that a successful IT strategy requires that the data stored in those systems can help decision-makers solve critical business problems. We are skilled in multiple data management and analytics approaches and help government organizations harness the power of their data by framing questions, applying appropriate computational methods, and communicating results. Our deep understanding of leading-edge technologies, data and organization-specific business processes combine for an invaluable 360-degree perspective on applying IT to achieve mission objectives. In today’s business environment, mission needs evolve faster than the traditional product development lifecycle, resulting in project overruns, late deliveries, program cancellations, or deployment of systems that fail to meet the evolved mission need. In contrast, EDC Consulting uses a rapid, adaptable, scalable and successful agile development methodology that is designed to meet these challenges. Our ability to support agile concepts entails quickly sensing and effectively responding to ever-evolving conditions. Demonstrable business results (working software, etc.) are delivered regularly by timing development into a predictable cadence of iterations (typically one to four weeks). Each iteration includes all the tasks necessary to design, build, and test a valuable increment of new functionality. At the end of each iteration, the team inspects and adapts its work and processes, and adjust priorities. Business Intelligence tools offer many advantages to government agencies such as dashboard creation, custom reporting and analytics. But these tools can be costly to procure and implement. Business Intelligence and Analytics offerings from Microsoft, SAP, Oracle, IBM, Microstrategy and others leverage existing technology investments to develop integrated reporting and analytics that enable users to gain access to accurate, up-to-date information for better decision making. EDC’s use of business intelligence tools and technologies enable our clients to expand their business intelligence capabilities with minimal investment. Most DOD and government agencies currently have access to Business Intelligence and Analytics tools through their implementations of Microsoft SharePoint and SQL Server, resulting in the ability to take advantage of industry leading business intelligence capabilities at a lower cost than competing products that require the purchase of new software or new licenses. Software Development is the development of new applications which may be mainframe, server, network-based, cloud-based or a combination of one or more. The requirements for new software may require interfaces to existing applications and may include services such as researching; analyzing; gathering requirements; designing; programming; testing; documenting and implementing; applying changes to the software language and/or database in which the application is written; providing corrections for production or any changes needed and participation in disaster recovery planning and documentation. EDC has worked with scores of DOD clients and commercial organizations and served as their trusted custom software development partner. Our skillset is immensely diverse – we design, develop, implement, and launch (and re-launch) web, cloud, back-end and legacy applications. Weaknesses in information security can jeopardize your mission and invite fines and penalties from regulatory bodies. EDC’s cybersecurity consultants provide services and solutions that deliver continuous security assurance for Department of Defense and government critical infrastructure. Protecting the information systems and networks of the Federal government has never been so important and complex. EDC understands the business and technical challenges faced by the Department of Defense to secure their information assets. Enterprise Security is a core capability of EDC and we have been providing cybersecurity services to the Department of Defense for over a decade. Our cybersecurity services manage risk, optimize security resource allocations, and assure the confidentiality, integrity, and availability of business systems, business processes and information. EDC has a long and successful track record of providing comprehensive Information Security (INFOSEC) and cybersecurity solutions based on leading-edge security models. Data migration is the process of transferring data between storage types, formats, or systems. Data migration is usually performed programmatically to achieve an automated migration, freeing up human resources from tedious tasks. It is required when organizations or individuals change computer systems or upgrade to new systems, or when systems merge (such as when the organizations that use them undergo a merger, acquisition or takeover). Database management involves the design, monitoring, administration, and maintenance of the databases and database groups in your enterprise. Comprehensive database monitoring enables you to identify the problem areas in your database environment that are degrading performance. 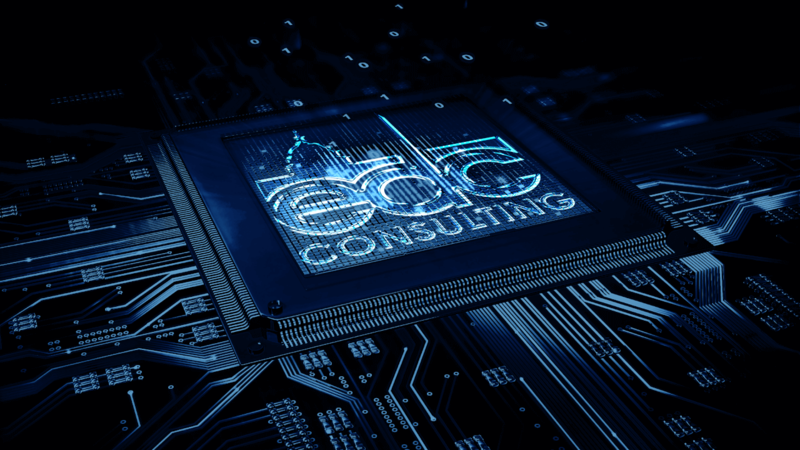 When addressing a system’s technical framework relative to a client’s requirements and specifications, EDC employs a set of conventions, rules, and standards in designing or integrating the various hardware, software, and network components. EDC will then develop an overall implementation solution plan, then technically lead implementation installation, customization, and integration efforts. As a final step, EDC provides the expertise to identify and translate system requirements into software design documentation. We develop proven, scalable solutions that meet the needs of our clients IT infrastructure and provide an effective assessment of IT infrastructure for servers and storage platforms, along with a general network assessment. EDC provides Technology Transformation & Modernization in the conversion, rewriting or porting of a legacy system to a modern computer programming language, software libraries, protocols, or hardware platform. Our experienced team of System Integrators provide automated legacy system modernization services for government clients. We aim to retain and extend the value of our customer’s legacy investment through migration to new platforms. Federal organizations today share a common challenge. They’re undergoing fundamental changes in the way they do business. These changes could potentially reshape every facet of their operations –from business processes and practices, to workforce structure, to the way employees answer their e-mail and collaborate with one another. Confronted with these challenges, EDC helps its clients embrace the need for change and to produce unprecedented increases in productivity, growth and performance.